We’re on the road to a global Gigabit Society – one where increased internet throughput, up to and over 1GBps, will allow people and businesses in every industry to do life-changing things. Whether or not we’ll arrive at that point isn’t up for debate – it’s an eventuality – but the big questions on everyone’s lips are: when, how, and what will this supercharged infrastructure let us achieve? 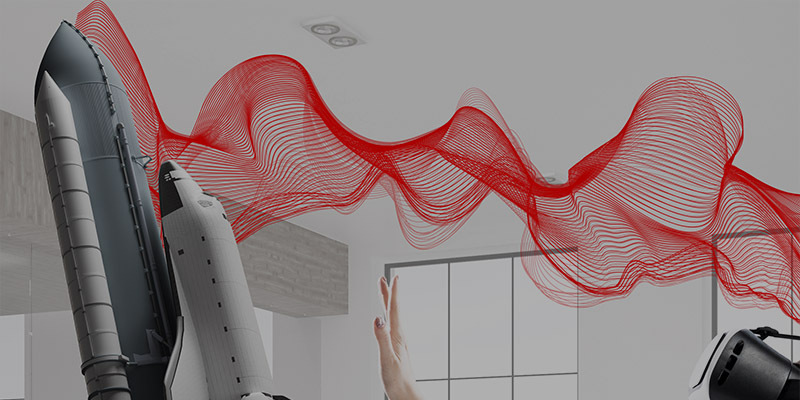 At Vodafone, we’re making it our business to find the answers to these questions, because we know that Telco’s have an instrumental part to play in the Gigabit Societies of the future. It’s why we’ve been conducting huge amounts of research on the topic, and it’s why the Vodafone Institute has just released a brand new and pioneering app designed to dive into everything ‘Gigabit’ in a never-before-seen way. The Gigabit Society VR app, which you can download now for free on iOS or Android, is the digital incarnation of our latest report - made in partnership with the IW Consult – and is designed to shine a light on the new technology that we as a society will unlock in the near future. It’s a 3D, interactive virtual reality experience unlike any other, but how did it come to be? "The IW report is all about the future technologies driving the need for Gigabit infrastructure, and one such technology, clearly, is VR with its many applications." “The IW report is all about the future technologies driving the need for Gigabit infrastructure,” Mark explains, “and one such technology, clearly, is VR with its many applications. In discussing those applications, the idea came up to find a format for the report that would match the technological progress being spoken about. In 2017, having only a printed version of this kind of report seemed rather odd to us, so we came up with the idea of making a virtual one to supplement it. That thinking is what led to the app’s design, which puts users directly in front striking scenes like virtual mountains of GDP growth, virtual towers of Gigabit infrastructure, and a floating map of world internet speeds. “We recognized that it would be helpful to have these VR ‘rooms’ to step in - each one for a different scenario: internet speed in different countries, economic impact by increasing internet speed, and future technologies. After landing on that, our developers drafted different treatment types for these rooms and we worked on that until we had the final product, but it wasn’t that easy to transfer raw study data into virtual reality. “It’s very important to have a clear idea of what you want with this kind of project,” Mark explains. “We needed to leave out a huge amount of interesting data. But that was necessary; if the content was too complicated or complex, the medium wouldn’t have worked as powerfully. But before we get there, global infrastructure needs to develop; with Vodafone being a catalyst and conduit for change. “We cannot overestimate the Vodafone Institute's role in this,” Mark says. “We’ve initiated research to show that this claim has a very substantial basis. But, at the same time, we also want to outline the risks that come from failing to adapt to technological change. You can find out much more about the future of these emerging technologies in the app, by downloading the Vodafone Institute and IW Gigabit Societies report, or in the Arthur D. Little report ‘Creating a Gigabit Society’.